Indeed regarded as a long time coming, but for Motorola DEFY owners in the UK, they’re finally able to experience all the commotion that Android 2.2 Froyo is packing along. For the better part of the last 2 months, US owners of the rugged style handset have been swimming with all the features commonly expected with the tasty frozen treat. Obviously, we find good old Adobe Flash support, the ability to install apps directly to a secondary storage medium (microSD card), and an overall improvement to the handset’s performance. 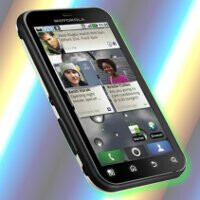 In order to get in with the new update, owners will simply need to navigate to Motorola’s support site to download it. Again, it’s always nice to see handsets graduating from Éclair to Froyo, but the next question is quite obvious – when will we see Gingerbread, or will it even come? Devs are doing a very good job with DEFY and DX, maybe soon to D2 and DX2.